My longtime readers know that I do, indeed, savor the sweetness of life. Often, for me, it is while traveling. Often, for me, it includes a Milano Moment. Here, for example, is my backpack, fully stocked and ready for a day trip through the beaches of LA, the hills of San Francisco, the back alleys of Prague or the Glockenplatz in Munich. 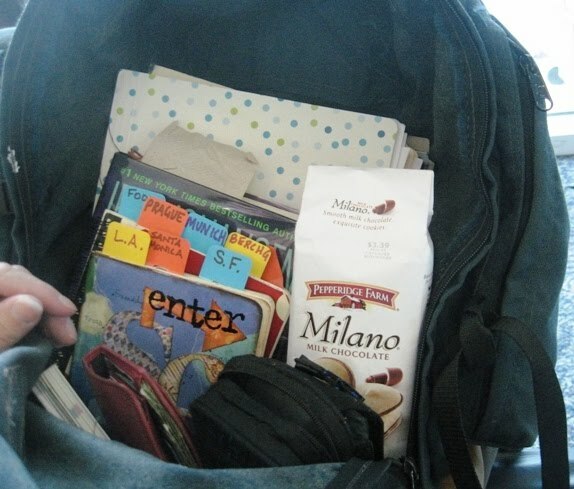 I have a wallet, camera, mod-podged travel journals, reading book and a pack of Milanos. What else could a girl need? So when the yummy folks at Milano whispered in my ear that they were doing something bodacious. 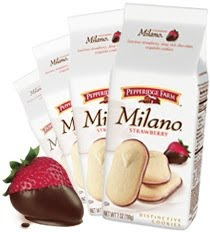 . . .
. . . like combining sweet strawberry filling with their notorious rich, dark chocolate. . .
. . . to create Pepperidge Farm's newest Milano cookie: Milano Strawberry . . .
Well, they didn't have to twist my arm to get me to dish it out. Get your $1.00 off coupon. Someone had trouble with the coupon link. Please tell me if you can get the coupon or not, it will only work one time per computer. Pepperidge Farm launched a "Sweetness of Life" campaign to introduce this sweet little cookie and asked several bloggers to share a moment we had this summer when we took time to stop and savor the sweetness of life. Sweeeet. I'm in. 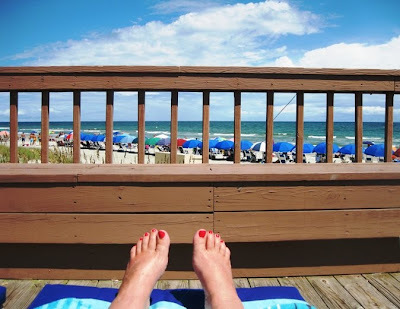 The moment of my summer that truly had me stop and savor the sweetness of life was in mid-August at Myrtle Beach, SC. I was pool-side with an ocean view at the lovely Hilton Resort watching one of my adult children frolic in the surf with a BFF. Savoring the sweetness of life, for me, right now, involves watching my children launch their adult lives and careers. I observe them discover new things, learn new skills, work hard and play hard. Every day is something new for them. Their ambition and excitement washes over me each day like the tide of the sea. An added bonus? While sitting there, savoring the moment in the sun, thinking about my life and family, my husband, from a nearby conference, tweeted me "you find a hot spot?" Referring, of course, to a wifi hot spot. I tweeted him the following photo and said . . .
. . . "Oh yeah, a hot spot indeed." - Join Milano on the Milano Facebook Page.